This is about an hour in. 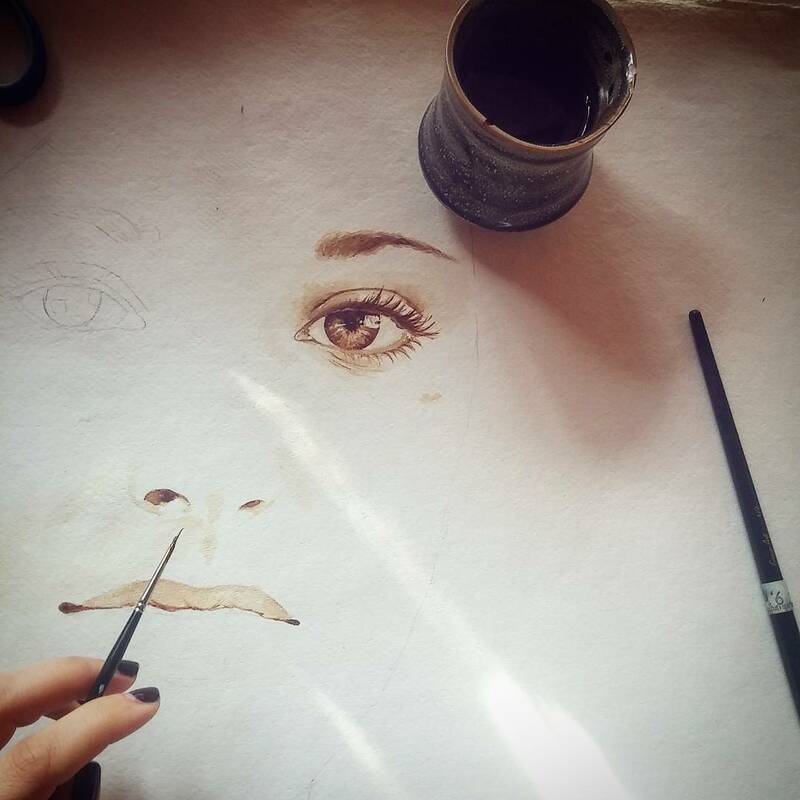 I sketched basic shapes of the face with pencil first, and then used only coffee to paint with, and a tiny bit of white pen to detail the eyes. This is my drawing space.